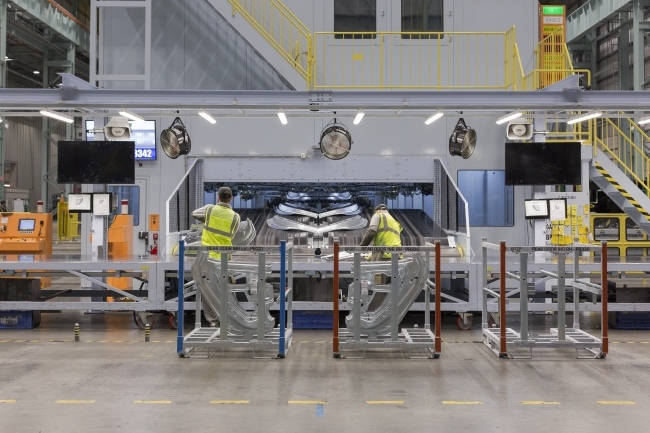 Production of the all-new Nissan LEAF, the next generation of the world’s best-selling electric vehicle, is officially underway for European customers. 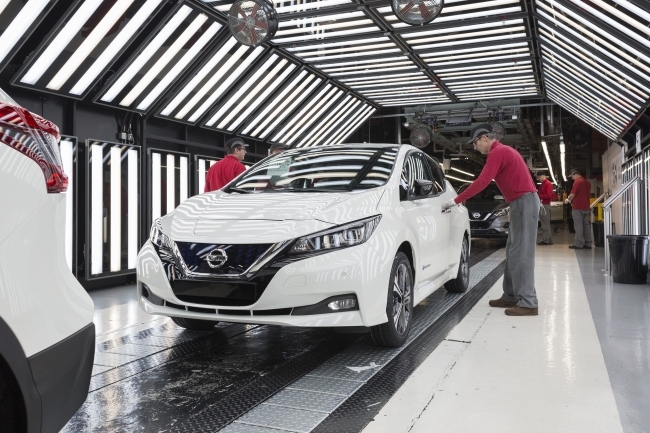 With the first new LEAFs now rolling off the line at Nissan’s plant in Sunderland, the countdown has now started to the first customers receiving their vehicles in February. Embodying Nissan’s Intelligent Mobility vision and already winning international awards for innovation and technology, this new model has been reinvented to offer greater range, dynamic design, advanced driver assistance technologies and enhanced connectivity. Kevin Fitzpatrick, Nissan Europe Divisional Vice President for Manufacturing, said: “Nissan led the way in introducing electric vehicles to Europe in 2011, and every year since then it’s been clear that more and more customers share our vision for the future of driving. The new Nissan LEAF offers an improved range of up to 235 miles on a single charge, allowing drivers to enjoy longer journeys, interconnected by the extended European CHAdeMO Quick Charging network. • The new e-Pedal which allows drivers to start, accelerate, decelerate and stop the car by simply increasing or decreasing the pressure applied to the accelerator, providing more control and taking the stress out of driving. E-pedal can hold the stop even downhill, and is made accessible as standard from entry grade. • ProPILOT advanced driving assistance automatically controls the distance to the vehicle in front and steers the vehicle to help the driver keep LEAF centered in the lane. These functions can significantly improve driving experience when driving on the highway in both heavy and flowing traffic. • ProPILOT Park is the technology that parks the new LEAF with the touch of a button. This full auto-parking feature combines advanced image processing technology using four high-resolution cameras and information from 12 ultrasonic sensors around the car to guide the vehicle into a space. The Nissan LEAF has been in production in the UK since 2013 for European markets, with more than 85,000 units sold in Europe since 2011, when the first deliveries began from Nissan’s Oppama plant in Japan. Following an initial investment of £420m, the introduction of the new Nissan LEAF has been supported by a further £36m investment in Nissan Sunderland Plant, supporting more than 2,000 jobs at Nissan and in the UK supply chain. 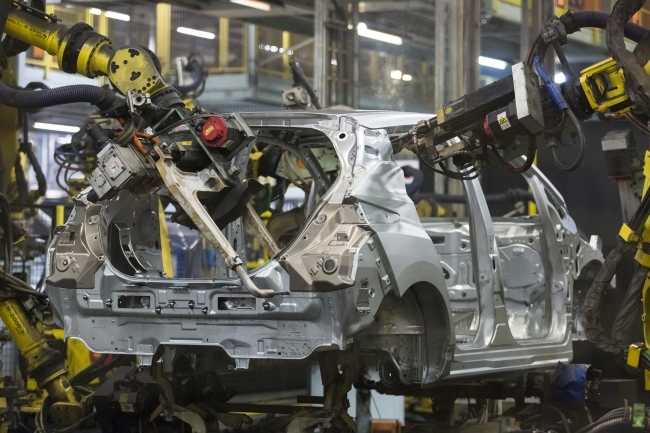 In addition to the new LEAF, Nissan Sunderland Plant also manufactures the market-leading crossovers Qashqai and Juke and the Infiniti brand’s Q30 and QX30 models. Last year the plant celebrated its 30th anniversary, and this year total volume surpassed 9m vehicles, cementing its position as the biggest UK car plant of all time.